With the view of the famous Headland Hotel towering overhead, Little Fistral beach is secluded and not often visited by visitors to Newquay. 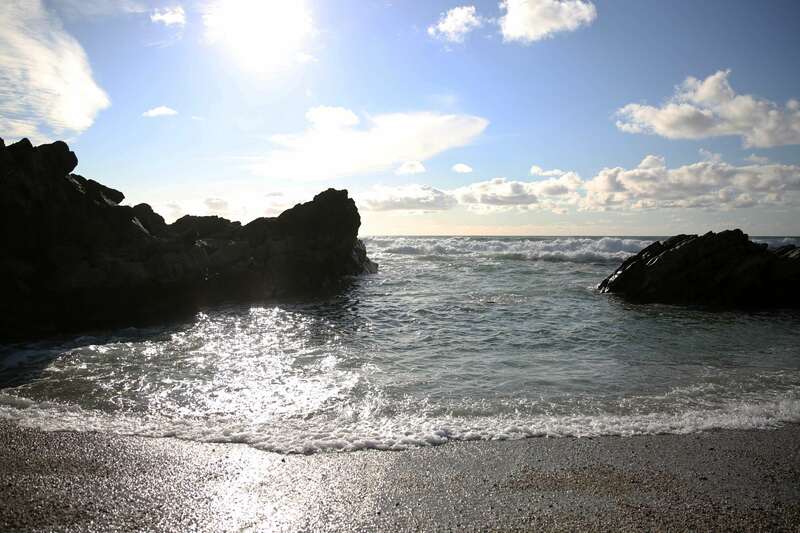 Right next to the UK's most famous surf spot - Fistral beach, Little Fistral features a couple of mini coves, beautiful shell and stone based shingle and dramatic grey rocks. The perfect background and colour palette for our photoshoot of our new collection. Alfie and Trevor, Celtic & Co's office dogs came down to see how the team was getting on and tried their hardest to help out. Unfortunately they didn't make the cut for the catalogue this time around (they were mainly digging holes on the beach whilst Amelie our model was doing her job). 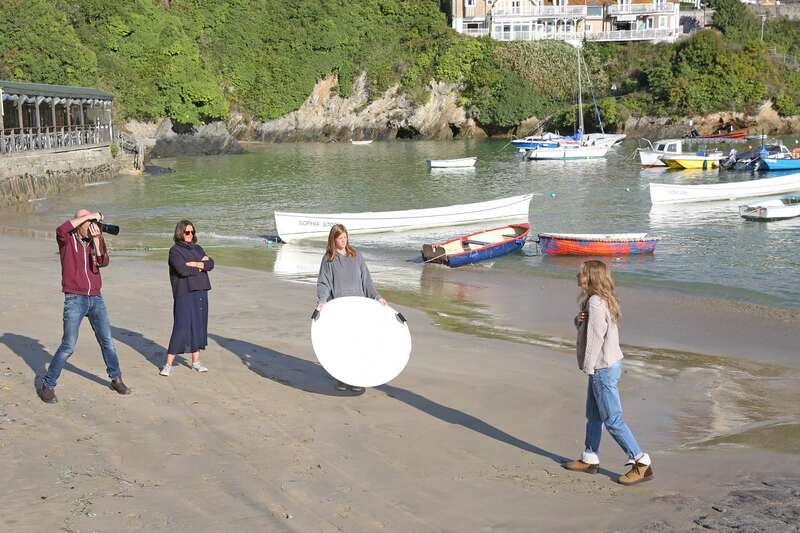 In the heart of Newquay is our quaint little fishing harbour, full of boats, nets and lobster cages - a true Cornish background to the 2nd half of our photoshoot. 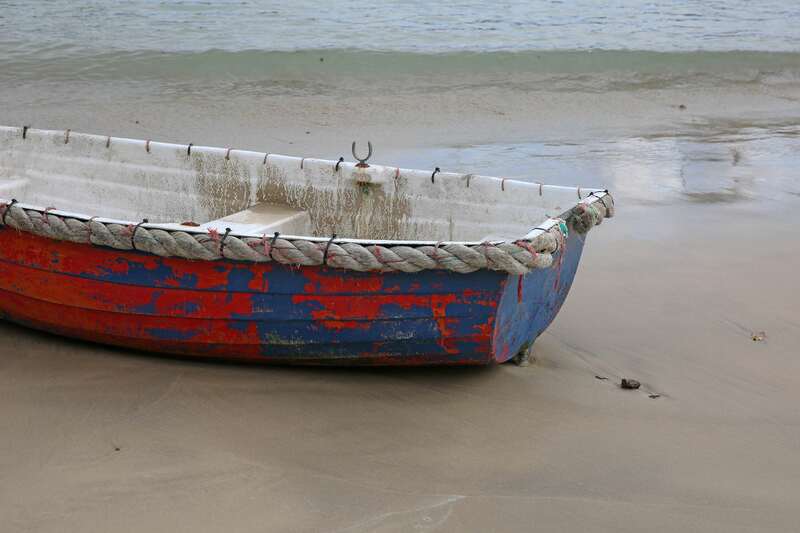 We enjoyed using the exposed little beach there while the tide was out as well as a rowing boat as a prop. The harbour wall which stretches out into the sea made for quite a dramatic scene for Amelie to model our Toscana Vest on and even though the regular visitors to the harbour, the seals, were no where to be seen, the common gulls kept their eyes on us at all times. Just to the side of Newquay harbour is Towan beach, a popular spot for swimming and surfing all year round, and features the famous house on the island, linked by a suspension bridge. 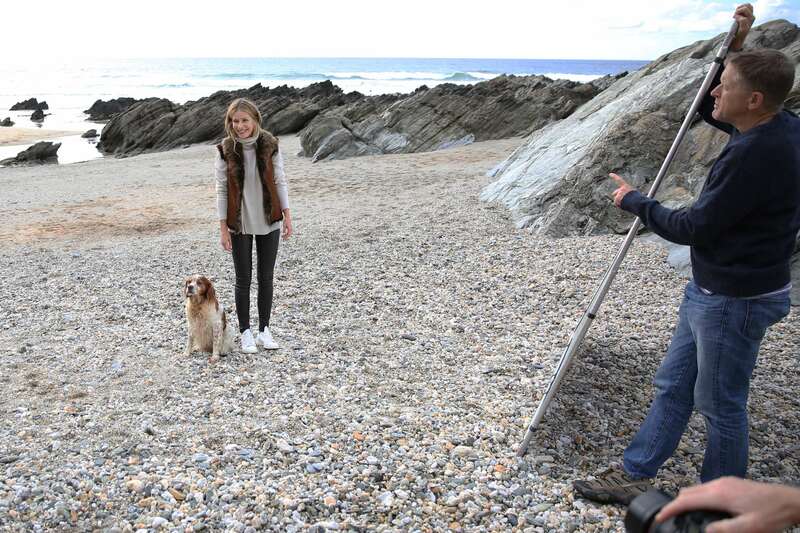 The team styled Amelie in our new cream Cable Crew Neck Sweater alongside our light coloured Wax Rain Jacketand some cream culottes, and took the shoot down onto the soft sand. The wind-swept expanse of the bay made the clean styling of Amelie's look really stand out and we were so happy with the results! Now that 2019 is in full swing and the hint of the new season is upon us, it’s the perfect time to take stock of where our wardrobes are and where we want them to be. Here at Celtic we’ve been pioneers of the slow-fashion movement since 1990. To us, slow -fashion is a way of thinking about buying and wearing clothes, to ensure they bring meaning, value and joy to your every day. We only ever use natural fibres in our collections as they are kinder to the environment and a pleasure to wear. We always source our suppliers as close to home as possible and our designs are always timeless so you can build on your wardrobe rather than replace. We hope you enjoy discovering your new investment pieces from this season’s collection.